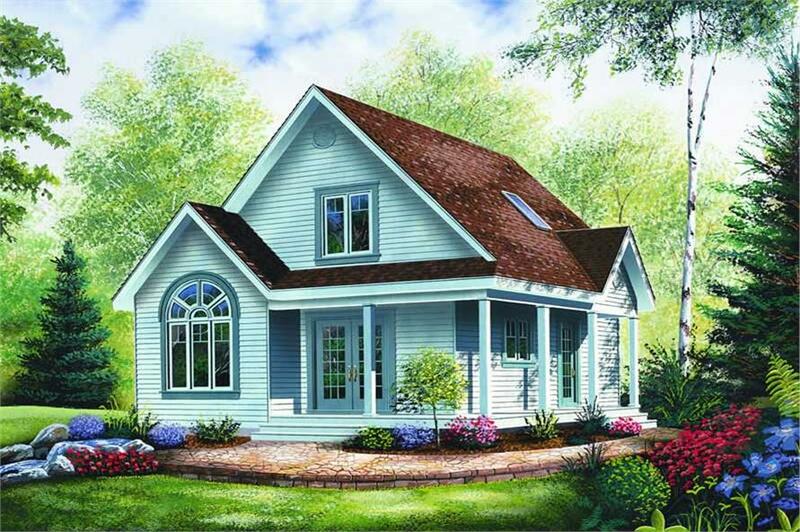 This small yet picturesque country-style home with (Plan #126-1244) has 1168 square feet of living space. The 2-story floor plan includes 3 bedrooms. -- Main level: Wrap-around porch, foyer (side entrance with closet), bathroom with shower, kitchen / dining room, family room. Cathedral ceiling over family room. large bedroom. -- 2nd level: Master bedroom with walk-in closet, full bathroom, loft or 3rd bedroom. PLEASE NOTE! This designer's plans do NOT come with an electrical layout. They will provide an electrical layout for an additional fee. Thank you. BCIN is available - Please allow 10 business days to complete!